A nature book buzzing with bugs, butterflies, caterpillars, ladybirds and other creepy crawlies – plus over eighty colourful stickers. Packed with stunning photos of tiny insects and animals, this exciting book is full of inspiration for young naturalists. 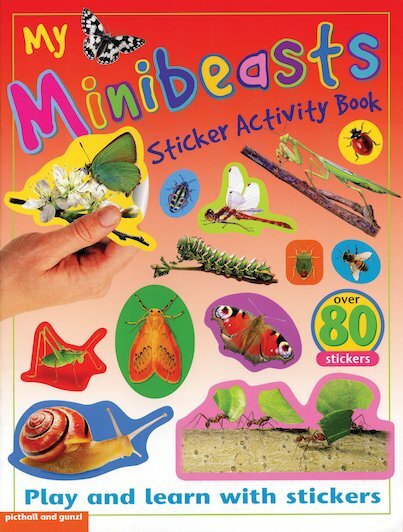 Learn to identify all sorts of fascinating minibeasts, from ants to moths and flies, adding in stickers as you read along. Try out fun puzzles and activities like matching, counting and finger tracing, which teach first skills through play. Then go exploring in the Great Outdoors and see what you can find!